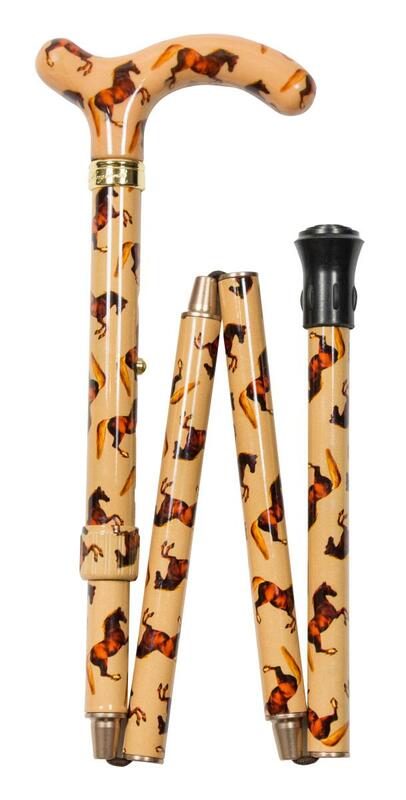 Produced by Classic Canes under licence from The National Gallery in London, this adjustable derby cane features a repeating design of 'Whistlejacket' by George Stubbs, 1724-1806. 'Whistlejacket' was a favourite stallion of the 2nd Marquess of Rockingham and was painted in about 1762. The masterpiece was bought by The National Gallery in 1997 with support of the Heritage Lottery Fund.